Toppling is a representative failure mode of discontinuity-controlled rock slopes. As a discrete numerical method, discontinuous deformation analysis (DDA) is well-suited for simulating the movement process, contact transformation, and large displacement and deformation of rock block systems, which are formed in jointed rock masses. 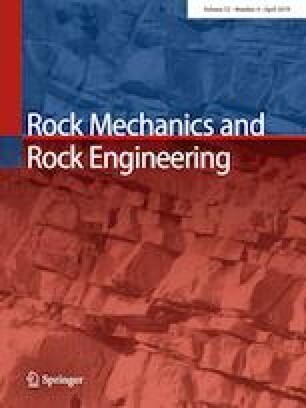 In the present study, a three-dimensional (3D) DDA method was conducted to study the toppling failure mechanisms of rock slopes by introducing the global contact theory. Considering dynamic equilibrium conditions, the analyses of toppling slopes were performed and the corresponding formulations were derived. The algebraic and mechanical computation of the global contact theory was illustrated and implemented into the 3D DDA method. An experimental apparatus for studying the toppling process of blocks was developed and a series of laboratory experiments were carried out for different block distributions under different conditions. By comparing with the results of the analytical methods and laboratory experiments, the accuracy of the 3D DDA method was verified. Numerical examples, including a classical toppling slope, an ideal mountain slope, and a real toppling case were analyzed to further research the toppling failure mechanisms. The results revealed that the 3D DDA method can effectively predict slope instability and simulate the failure process of toppling slopes. The results of the dynamics-based formulations, experiments and 3D DDA enrich the instability conditions of slope-toppling. Moreover, the general phenomena and laws of the toppling failure were presented. This research was supported by the National Key Research and Development Program of China under Grant Nos. 2016YFC0401600 and 2017YFC0404906, the National Natural Science Foundation of China under Grant Nos. 51769033 and 51779035, and the Fundamental Research Funds for the Central Universities under Grant No. DUT17ZD205.